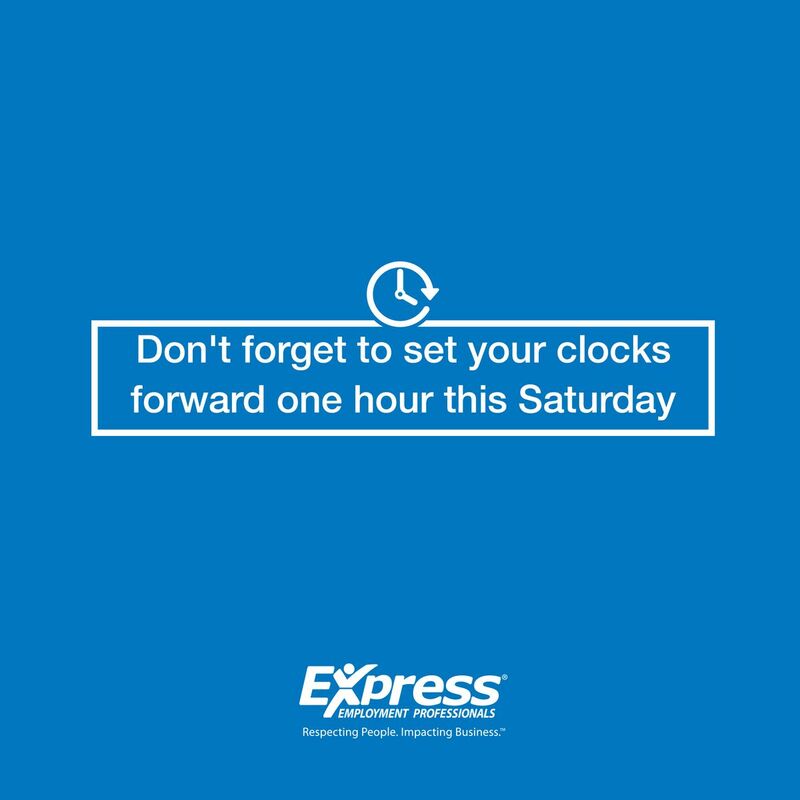 The start of Daylight Saving Time is here. At 2 a.m. on Sunday, March 13, one hour of daylight will be switched from morning to evening, which means our clocks will shift to one hour later until they switch back in November. This annual time change signals the beginning of Spring, which means warmer weather and new growth. As nature prepares for the changing season, you can, too. If you have a new job on the horizon this Spring, it’s important to make sure your first impression is one you’re proud of, so take a look at the tips below to ensure you’re springing into your next job on a positive note. The early bird gets noticed. Punctuality and good attendance are important when it comes to keeping your job and making a good impression, so start off on the right foot and get to the office on time and well-rested. Remember to stay positive. From day one to your last day, nothing works better in all situations than a positive attitude. When you start your new job, let your enthusiasm for being part of the team show your co-workers and supervisors that you’re going to be a positive addition to the group. Asking questions will help you fit in quickly by eliminating confusion during your first few days on the job. It’s impossible to know everything, especially at a new job, so ask for help when you need it. Communication is important for any job, and it’s always a good idea to ask for clarification. If you didn’t do your homework before the interview, now’s a great time. Take a few minutes before you start your new job to research the company and learn everything you can about the business. Take initiative in the workplace. If a new project opens up or you notice your supervisor needs help with something, take action and offer your assistance. During the first few days at work, you may not have a full plate of tasks, which means it’s a great time to show that you’re a self-starter and willing to take on assignments instead of sitting around. Being proactive goes a long way in the workplace. What tips do you have for starting a new job? Let us know in the comments section below!